Sir Grout, the hard surface restoration franchise has once again earned a spot in the prestigious Franchise 500®. Alpharetta, GA – (PRWEB – 03/12/2018 9:00 AM EST) - Financial strength and stability, costs & fees, size & growth, support and brand strength. These are the five pillars that Entrepreneur Magazine uses to rank the globes top companies in their annual Franchise 500® list, and Sir Grout has earned once again, and for the eighth time in a row, a spot in this prestigious rank. "The key to our success has been our constant hunger to stay on top and striving in every aspect of our business" said Jeff Gill, Co-President of Sir Grout. "As a franchise we offer extensive training and digital marketing support, all at an affordable start-up cost… this has kept us on the summit of the home improvement industry and has made us a great option for anyone looking for an excellent ROI opportunity" he added. Technology has played its role in Sir Grout's success, as the company is in constant evolution in order to improve the way they attract, treat and interact with their customers. 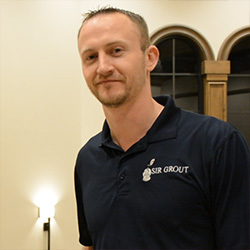 "In Sir Grout, we rely on top of the line technology to constantly improve customer experience. For instance, we use a specialized cloud-based software called CRM (Customer Relationship Software), that gives our franchisees access to every customer request, helping them track, manage and complete without any hassle." said Tom Lindberg, Co-President of Sir Grout. "Another of our strong points is our solid and ever-evolving digital marketing strategy" he added. This list of services and features is constantly expanding in order to satisfy both franchisees' and clients' needs and remain in the digital spotlight. Want to be part of the Sir Grout Franchise? Becoming a Sir Grout franchisee gives you the opportunity to be your own boss, while having the support you need to thrive. To know more about the company's services and how to join the franchise, simply reach them thorough their contact page or call (866) 476-8863.